Garden Patio Blog: What is a Greenhouse? A building made of glass or transparent material, with or without a floor where plants are grown is a greenhouse. 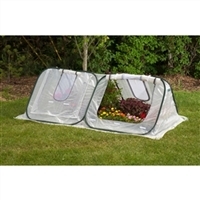 Can be portable or permanent, the main purpose is to extend the growing season of flowers, vegetables, fruits, and transplants. 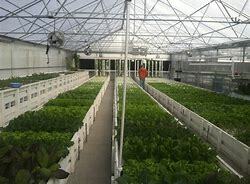 A greenhouse can have special equipment such as heating, cooling, lighting, humidity, and controlled by a computer. Which allow for a greater control of plants growing environment. Where you have a short growing season these buildings help you extend your growing season. Most greenhouses are to help keep your plants warm but in hotter climates, they are used to shade or cool your plants. Certain crops can be grown in a greenhouse year round. A greenhouse allows the gardener to control the main factors that affect plant growth--- light, moisture, and temperature. the house also allows the gardener to control and combat pest and diseases. 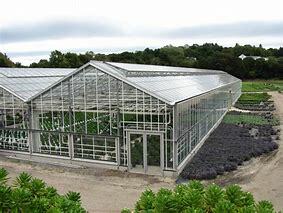 The first greenhouse was in Roman times, by mid-1800's designs begin to evolve. With the use of glass and making the roof curved instead of flat allow more sunlight to enter. 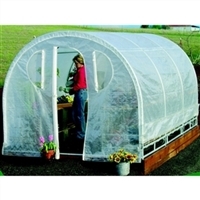 There are different kinds of greenhouses you have shelves with plastic or polyethylene covering it that are portable. These are small so you can move them in and out depending on the weather. There are Cold frame style houses that cover your plants in the ground to help protect from frost and drying winds. A poly-tunnel is a tunnel made of polyethylene in a semi-circle shape. The interior heats up because incoming solar radiation from the sun warms plants, soil, and other things inside the building faster than heat can escape the structure. They can be used for other things besides growing plants, they are being used to produce steam for solar-enhanced oil recovery. 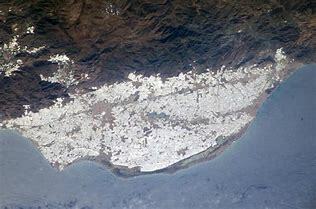 And the largest greenhouse is in Spain and covers almost 49 thousand acres, and can be seen from space.